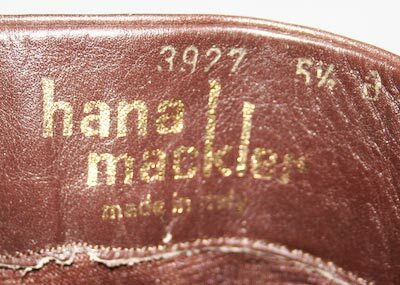 Every pair we've seen by Hana Mackler was imported from Italy, and of those we've sold in original boxes, they had a steep vintage price. 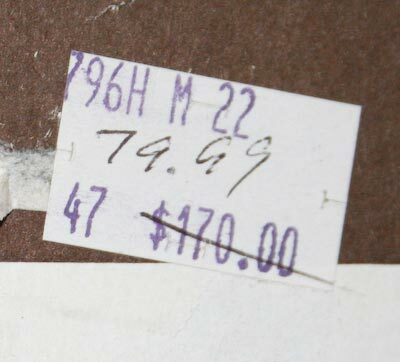 The price below was $170.00 in about 1980, which is nearly $500 adjusted for inflation to today's dollars. Quality stuff, and it shows. 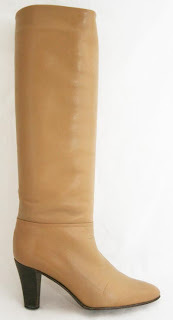 Hana Mackler boots are top quality leather with minimalist seaming. They're sometimes leather and suede in one boot, usually monotone, some with applique style inserts in fluid details that hearken back to the Studio 54 era. 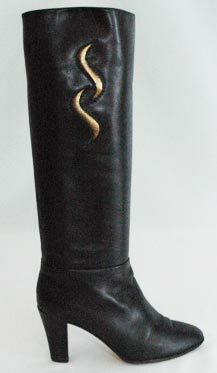 The Boot Lady passed away in 2003, but her beautiful designs live on. Check our current selection of vintage Hana Mackler boots for the latest revivals.